During the Holiday Season I love strolling through the shops to look for limited editions of products. While I am at work - I can use the supermarket and there I found the GRIESSON Soft Cakes in the seasonal edition. This year it is "Quince and Apple flavour with a slight hint of Honey". I bought it. 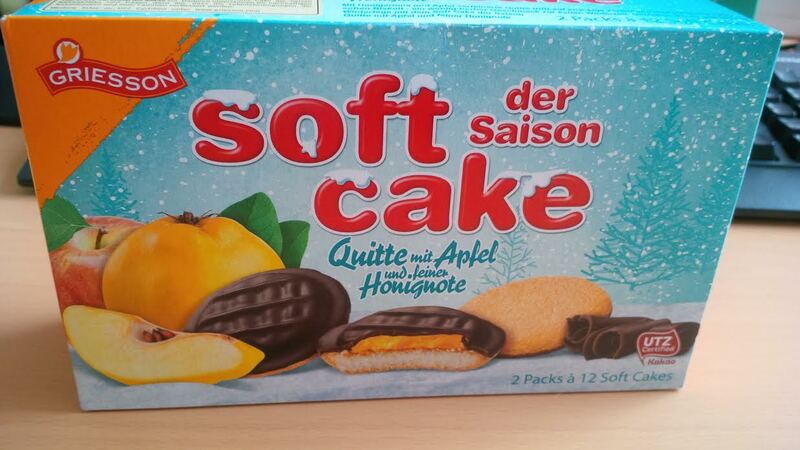 I tasted one of the Soft Cakes and I realized they taste as every Soft Cake: Juicy and sweet. Perhaps something is wrong with my taste buds, but for me there was no difference to the orange ones. What I really like about it is the packaging. It really caught my eye. The blue with the tree and the snow - just puts you in the winter mood.